Classic sabre made for the elite Imperial Guard. Special muskets and infantry swords were also made at the same time. 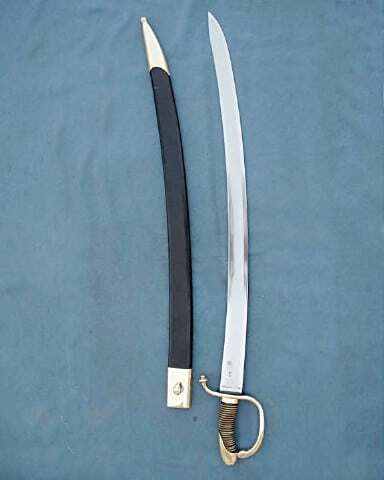 Longer sabre with elaborate hilt made of leather and wood as were other cavalry sabres of the period. 1055 high carbon steel 71cm blade. 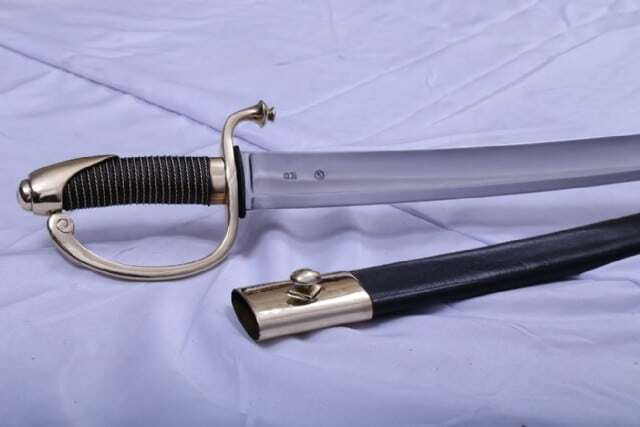 Comes with quality leather scabbard with brass parts.